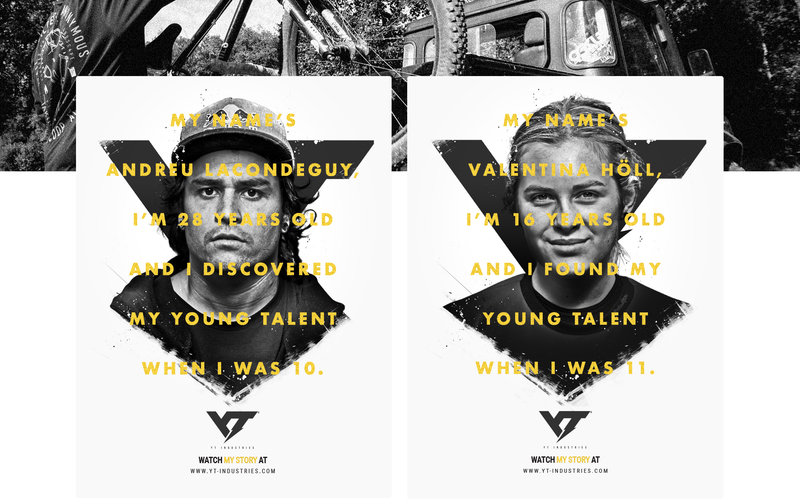 As part of a wider rebrand campaign to tell their 10-year story, from industry disruptor to market leader, we created world class creative content for this world renowned mountain bike brand. Epic creative for an epic brand. We helped to create a full set of print and digital adverts, feed-stopping social media motion graphics and an immersive, story-driven microsite. Strong, bold graphic use of the new YT logo. Gritty and powerfully engaging portrait photography. Gold-textured typography that confidently overlays the advert, creating bars that visually realise YT's newly developed slogan 'Live Uncaged' through the athlete's quote. 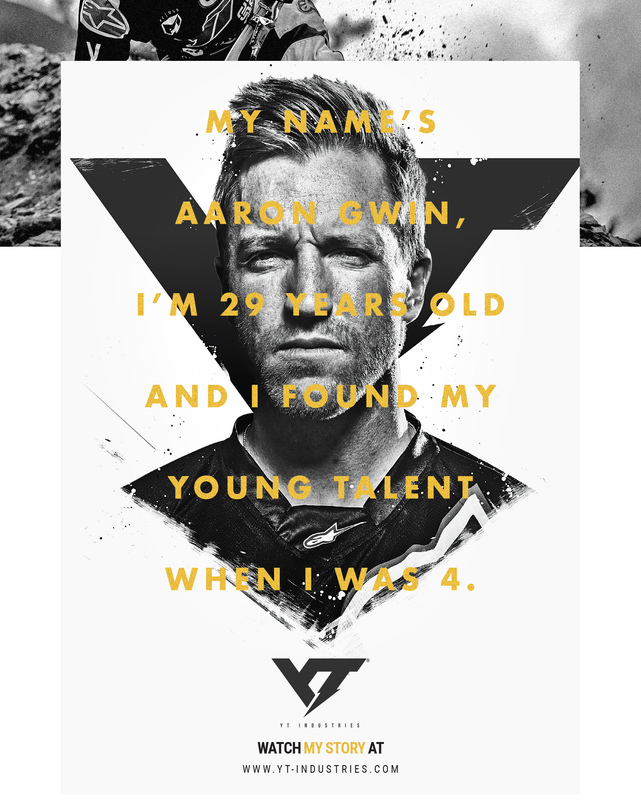 The campaign told the athlete's, and in the first phase non-athlete's, stories about how they found their talent, with an idea that Young Talent isn't based around an age, but a state of mind. 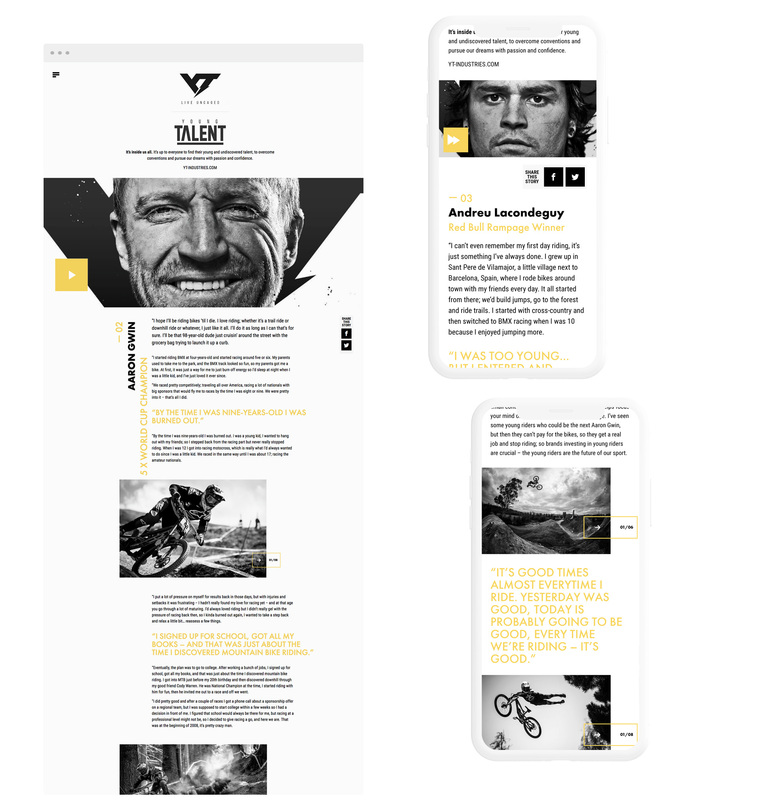 We designed a microsite that brought this idea to life, creating a platform to deliver the brand message and presenting the athlete's short films. Alongside the videos, we allowed the user to explore deeper, with long-form written articles, supported by unique photography. The user interaction really helped to make the website an engaging experience. On rollover there were many glitchy animations and motion graphic reveals – athlete's respond and look at the one selected, play buttons glitch and flicker to attract the user's attention while black and white carousel images turn full-colour on rollover. 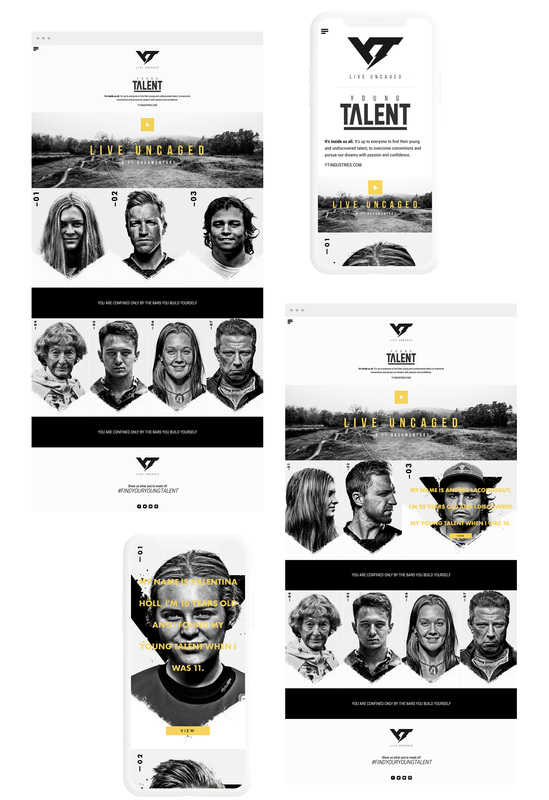 It was an amazing campaign to be a part of for a truly forward-thinking mountain bike brand with a great ethos – truly unique in the world of cycling – there really aren't many brands around like YT.